Dr Mateusz Szpytma points out that “providing help to Jews during World War II was equally dangerous, and maybe even more so than participating in the underground resistance, for example in the Home Army”. The National Remembrance Day for Poles Rescuing Jews under German occupation is “an expression of homage to those (…) who during the difficult period of German occupation, despite the threat of death, decided to help fellow citizens of Jewish ethnicity” – said the PAP Vice-President of the Institute of National Remembrance. According to the historian, “only many years after the end of World War II, have these people been appreciated.” “First, the Yad Vashem Institute did it in Jerusalem, and later they were slowly noticed in Poland, but only now is it being done on larger scale,” he told PAP. Dr Szpytma is a co-initiator, co-creator and former head of the Museum of Poles Rescuing Jews named after Ulma families in Markowa (Podkarpacie). He is also the author of studies on the relations between Poles and Jews during the German occupation. PAP: Let us recall the purpose of establishing the National Remembrance Day for Poles who saved Jews under German occupation. Who is it for? 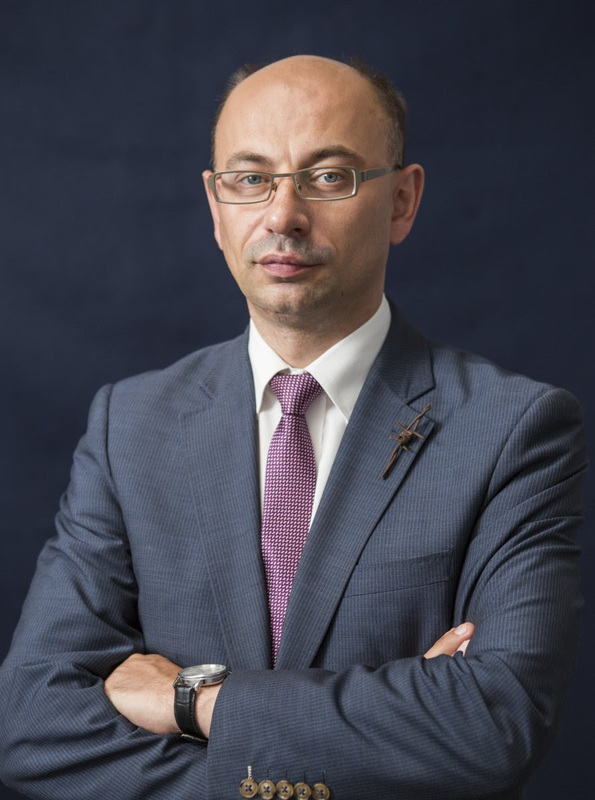 Dr Mateusz Szpytma: This day is to be a tribute to all Poles who in the difficult period of the German occupation, despite the impending death penalty, decided to help fellow citizens of Jewish ethnicity. Of course, that Poles saved Jews has been well known and talked about in Poland for a long time, albeit more so in the last dozen or so years, but still all these heroic deeds have been underrecognized. We must know that helping Jews during the Second World War was equally dangerous and perhaps even more so than participating in the underground resistance, for example in the Home Army. If we look at retaliation against members of Home Army, for example, it usually involved those individuals themselves, and only sometimes were their families punished. However, in a situation when someone was involved in helping Jews, not only the rescuers, but also their entire families, and sometimes even their neighbors were killed by the Germans. We already see the positive effects of the establishment of this day of commemoration. This year we are celebrating it for the second time. A year ago, there were fewer ceremonies, because it was celebrated a few days after its formal establishment. This year there are many, many more events. In Poland, many institutions are organizing commemorative events. Among the organizers are the Institute of National Remembrance, museums, research institutes, local governments and church communities. We emphasize the significance of the rescuers, because in every region, in every province, in every county, and probably in a majority of municipalities there were Poles who saved Jews. The youngest of them are still alive. This is the last moment to recognize their heroic deeds and to pay homage to them personally. We can recognize those who passed away, as well as those who are still with us. We still have a chance to invite them to these events, to talk to them in the media, to have them as speakers at schools as witnesses to history. Now is the last moment to have the Righteous in person at these celebrations. PAP: Was the establishment of the National Remembrance Day for Poles rescuing Jews under German occupation not late? How can you make up for the time lost? Dr Mateusz Szpytma: Of course, it would have been better had it been celebrated earlier. This type of heroic conduct should have been honored right after the war. During the time of the communist rule, interest in history decreased. There were spouts of interest in this subject, but it did not always result from noble motives, as in the years 1967-1968. At the beginning of the Third Polish Republic, the heroes of the past, including the Righteous, remained on the margins of social life. Władysław Bartoszewski and Irena Sendler were the exceptions. It was only after 2007 that honoring Poles who saved Jews intensified, thanks to President Lech Kaczyński. President Kaczyński honored many Righteous people and paid respect to all other anonymous Poles who saved Jews but did not have this distinguished title of the Righteous (many of them obtained it in subsequent years). President Bronisław Komorowski continued to do the same, to a lesser extent. And now, this is this is carried on by President Andrzej Duda and not only by awarding medals. The President took part in the opening of the Museum of Poles Saving Jews during the Second World War, named after the Ulma family in Markowa. He also applied to the Sejm for the establishment of a Remembrance Day for Poles who saved Jews during the German occupation. The State of Israel since 1963 has been honoring the Righteous. In Poland it started much later. We have to make up for this time. PAP: Can we determine the precise number of Poles who helped Jews during World War II? Dr Mateusz Szpytma: Research has not established the accurate number of Poles who helped the Jews. The estimates vary. They vary depending on the historian producing them. Some estimates – if you also take into account temporary aid, temporary support, participation in group effort – range from tens of thousand to several hundred thousand. Władysław Bartoszewski estimated them at around 300,000. people. A historian from the Institute of National Remembrance, dr. Marcin Urynowicz, gives the same number. Another reason why we have not come up with a specific number is that for a long time after the war there were no studies on this subject at all. We know of about 10,000 rescuers of Jews. With time and research, it may be possible to identify a few thousand more, but it requires many years of intensive searching – not only in Polish archives, but also in German, Israeli and American ones. We also do not know how many Jews were saved. Most often, “tens of thousands” are spoken of. However, we have quite a good number of people murdered for helping Jews. About a thousand people lost their lives; I do not think the figure will change significantly in the future. PAP: Who were the people who saved Jewish fellow citizens? Dr Mateusz Szpytma: We have a cross-section of all groups and social strata. Here, nobody can be particularly distinguished. Poles who saved Jews during the German occupation came from various social groups. However, we can specify the types of assistance. First, it is worth paying attention to the efforts of the Polish government in exile to make the world community aware of the unprecedented scale of genocide perpetrated by the Germans on the European Jews. The Polish government in exile also tried to mobilize the Allies to intervene, for example by the bombing railway tracks leading to KL Auschwitz-Birkenau. The Polish government initiated, supported or permitted various types of activities of its officials or diplomats to save Jews from certain death. Among the latter were employees of the Embassy of the Republic of Poland in Bern, Switzerland, headed by Aleksandra Łados, who made fake entries in the illegally obtained blanks of real passports from Latin American countries. Thanks to this one diplomatic mission in cooperation with Jewish communities, at least one thousand Jews were saved. Polish diplomatic stations in other countries also took part in similar projects. We know of Henryk Sławik, for example, who helped save several thousand Jews. He was an official of the Polish Ministry of Labor, in Hungary. After the occupation of the country by Germany Henryk Slowik was imprisoned in Mauthausen-Gusen and murdered. In occupied Poland next to the Government Delegate of the Republic of Poland, from December 4, 1942, the Council for Aid to Jews “Żegota” operated. It saved about 12 thousand Jews, some of whom survived the Second World War. This was coordinated help provided by people and institutions associated with the Polish state. 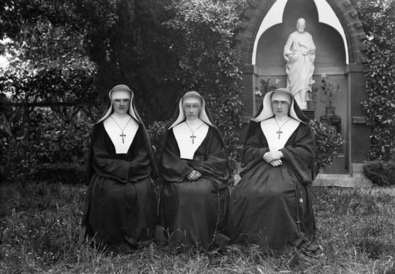 There was also institutional help from religious orders, especially the female Catholic convents or from different political organizations. In some cases, such as the Congresses of the Franciscan Sisters of the Family of Mary, the orders cooperated in this work with the Polish Underground State. And the third form of help – thanks to which the most people survived – is the help of individuals. In the vast majority of cases, they did not have any supportfrom either the underground Polish state or other institutions. In some cases the donors received payment for such assistance, which most often covered the cost of provided food, a very scarce commodity. Many of those who helped the Jews did it completely selflessly, motivated by compassion for the Jews condemned to extermination. Those people who granted aid to Jews deserve further recognition as they sometimes lived in communities with certain individuals who, for many reasons, looked less favorably upon hiding or helping jews, and these indviduals were sometimes ready to report their neighbors to the Germans. It was dangerous for the Jews who were hidden, but also for the Poles who were hiding them. PAP: What was the fate of the rescuers and those saved after the end of World War II? Dr Mateusz Szpytma: Many of the saved people were traumatized. Let us remember that there was hardly a Jewish family who had not lost someone close in the Holocaust. So someone who survived had almost always had a relative murdered. During the Second World War, Germans murdered about 6 million European Jews, of whom half were Polish Jews. Only 10 percent of the pre-war Polish-Jewish community survived the Holocaust. They survived in various places. They were rescued by Poles, some were in the Soviet Union where the German front did not reach, some survived the concentration camps. A lot of Jewish survivors left Poland for the U.S or Palestine and later, when Israel was established, for Israel. After the war, most Poles who had saved Jews did not see anything special in what they did. They saw saving someone who could have been murdered as something normal, something necessary. They lived their lives. Also, for many different reasons, they were not particularly praised, and sometimes even hidden from the public. Likewise, we have been learning in very recent years only of priests, religious orders of nuns and even bishops who participated in saving Jews. In post war Poland, among those politically involved, there were those who constituted the communist governing body and the anti-communists who fought for independence from Germany and Soviet Russia. Their involvement in saving Jews can be best illustrated by the fate of activists of the Council for Aid to Jews. In this group there were many people with leftist beliefs. On the other hand, quite a few people who saved Jews could be found among the people convicted by communist courts. We know that because the judges asked the rescued Jews for support and letters of support in appeals to the adjudication boards. We find this information in the files of, for example, Military District Courts. It was only many years after the end of World War II that people began to appreciate the heroic deeds of those who saved Jews. First, the Yad Vashem Institute did it in Jerusalem, and later they were slowly noticed in Poland. It is done on a much larger scale now. In the last dozen or so years, the Institute of National Remembrance has made a major contribution to promoting knowledge on this subject. No institution has generated more publications on this subject. Also, thanks to the Institute of National Remembrance, the government of the Podkarpackie district decided to implement the Museum of Poles Saving Jews and its employees created, among others, a permanent exhibition at this institution. PAP: What is the knowledge of this subject in the West and in Israel? Dr Mateusz Szpytma: According to my knowledge, in Israel, in Europe and in the United States there is some awareness that Poles saved Jews, but it is believed that these were completely marginal and isolated situations, and most Poles had a negative attitude toward Jews and that Poles mostly harmed Jews one way or another. These circles get very surprised when they are confronted with the new findings surfacing, among them those revealing the role of Polish diplomacy in saving Jews and subsequently discoveries of individual aid cases. Given such a drastic threat as the death penalty for helping a Jew, it can be said without doubt that a huge number of Poles decided to help. Only if we look at the large scale of the needs, can someone say that it was not enough. In the West, very often when addressing the issue, the circumstances in the German occupied Poland are overlooked and not properly taken into consideration. The occupation of Poland was definitely much more drastic than in France, the Netherlands, Belgium or Denmark. Poles were subjected to much harsher conditions than citizens of other European countries. Remember that during World War II, at least 3 million Polish non-Jewish citizens were killed. These facts cannot be ignored, and yet in the West these facts are not taken into consideration when considering the issue. Jedwabne and the Will to remain ignorant, George!